Lisa Pope brings over 25 years of software industry expertise and vertical solutions knowledge including the manufacturing, distribution, retail and healthcare sectors. She has extensive experience transforming sales - both direct and indirect - and services teams to a cloud focus. Lisa is responsible for driving cloud-first, ecosystem expansion, and market growth initiatives in the Americas. 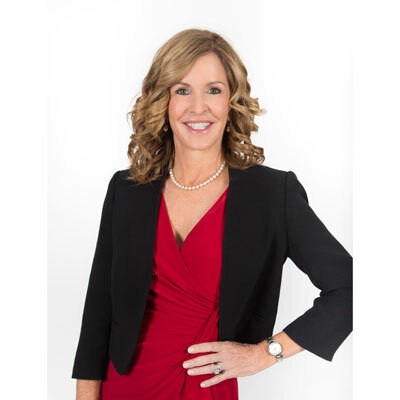 Prior to Epicor, she was Senior Vice President, Global Strategy and Sales at Infor where she focused on driving sales of cloud solutions, positioning to both new and existing customers the cloud value proposition for their business. Prior to Infor, Lisa led global sales strategy at QAD, where she successfully transformed the North America sales and services team to a cloud focus. She has also held a variety of leadership and sales roles at Oracle, NCR and Triad Systems. Lisa holds bachelor's degrees in Business and Communications Studies from the University of California, Santa Barbara. In her time at Epicor, Lisa is leading the charge in helping businesses get more ROI from their software investments. Case in point, Lisa has led the development and launch of a new Customer Value Workshop -- a program to assess how Epicor customers are using the software to date, to provide additional recommendations on additional means to improve profitability, grow revenue and enhance the customer experience. Additional achievements include: • Roll out of a new and improved Configure-Price-Quote (CPQ) tool to automate the lifecycle of the quoting and proposal process. This will increase the partners ease of doing business with Epicor and provide our partners with the best tools to determine customer needs. • Roll out of a new sales training and enablement program. • Addition of new dedicated channel territory managers to provide partners with single point of contact to assist with deals and opportunities. • Drive customer engagement efforts to drive additional add-on and upgrade business from Epicor install base and support increased adoption of Epicor's Cloud and Software-as-a-Service solutions. • Increase percentage of channel business, in the U.S., Canada and Latin America. To do this, Lisa plans to add structure to Epicor's channel program, including bringing on new resources in areas such as training and sales enablement to strengthen channel partner support, while bolstering recruiting efforts for partners with deep industry expertise and those that are geographically-focused. • Drive services and support transformation with implementation accelerators to drive customer success. Lisa was recognized as a 2018 CRN Channel Chief by The Channel Company. Under her leadership, Epicor completely restructured its Americas channel partner program, adding dedicated channel resources to support lead generation to foster partner growth. The revamp also resulted in simplified terms of engagement to ensure the program remained compelling for current and future partners. Further efforts around partner alignment with the Epicor cloud-first approach has resulted in significant growth in net-new cloud deals year-over-year, as well as greater partner profitability. Lisa was also named to the Top Midmarket Vendor Executive List for midmarket advocacy and cloud-first business acumen. Lisa is an admirer of a close friend and female industry colleague who has been extremely successful in her career while raising two children despite having fought a battle against cancer twice. Lisa says she admires the inner strength, poise and grace of her friend who overcame such personal hardship while handing the demands of a fast-paced work life, and who did so at a time when dealing with cancer was not socialized, and without complaint. She says she often reflects on this when having a difficult day or not feeling well, to gain perspective and inspiration to rise above. Lisa says she would tell her younger self to expand outside your immediate group of friends to embrace diversity. When she was in high school, she had a small clique of friends and then even in her college days through sorority life operated in an insular isolated fashion. In her career she has benefitted from the experience of "getting outside her bubble" to engage with people of different backgrounds and cultures, with different thoughts and ideas, which is vital to success in today's business climate. The ability to speak multiple languages is at the top of her list. Lisa says she is very impressed with business colleagues who are able to speak four or five different languages. She recognizes this is powerful and changes the personal dynamics when someone is able to converse with you in your native language. The world is getting smaller and you cannot have the expectation that everyone will speak English. "Deep Work" by Cal Newport -- this book is about what is arguable one of the most vital skills -- the ability to focus without distraction on demanding task. There are many books that espouse how to be a better leader, but this book is all about how to thrive in an interruption-driven world. If you can't master the skill of rising above this challenge, says Newport, you'll struggle to succeed.